If you are a customer taking out insurance with Go Skippy, it is likely that you will need to contact them about your policy at some point. This page contains all the information you need to contact Go Skippy. Go Skippy is an insurance broker with competitive prices for UK policyholders. Their mascot Skippy is an Australian kangaroo with its own fan club page. The company offers various levels of insurance cover for cars, bikes, vans, and homes. Go Skippy is actually the trading name for Eldon Insurance, who administer these insurance policies on behalf of Southern Rock Insurance. This company is registered in Gibraltar. If you contact Go Skippy, you are contacting Eldon Insurance. They offer additional products and services so customers can tailor their insurance policy. They aim to provide the best insurance for the cheapest price. Contact Go Skippy for help with your insurance policy with these helplines. Contact Go Skippy customer services on 0843 178 5025 if you have questions about their services. Most if not all of the information you are looking for will be online, but the team can answer in detail if you have a specific enquiry. Call if you are looking to take out an insurance policy with them or you might cancel so that you can check their terms and conditions and find out about fees. If you are owed a refund from Go Skippy, call to chase it if you do not receive it after 28 days. Call for help with the validation documents you need to provide. Or call if you have tried to use the online My Portal but are experiencing problems with it. Car insurance is by far the most popular service Go Skippy offers. More than 280,000 customers consider them to be the most affordable and reliable option. They are a fast-growing broker for car insurance in the UK. Go Skippy starts with low-cost premiums and gives you options to personalize your cover. This means that you can add cover for breakdowns, legal protection, windscreens, or replacement vehicles. Check with Go Skippy if you want cover for driving other cars. You should call them if you are travelling abroad and will be driving to make sure your policy covers this. Call 0843 178 5026 for assistance with your car insurance. Whether you have a van for private use or for business purposes, you can insure it with Go Skippy. Around 21,000 customers cover their vans under a Go Skippy insurance policy. Whatever your trade might be, it is crucial for you to keep your van on the road. Tailor your insurance cover to suit your business so that your income doesn’t have to suffer. You can choose to include extras like RAC breakdown cover, or tools cover. If you have a No Claims Bonus from a car insurance policy, you can transfer it onto your van policy. Call Go Skippy on 0843 178 5027 if you need to discuss your van insurance cover policy. Call to upgrade or cancel. Call 0843 178 5028 if you have broken down in your car or van and need Go Skippy to activate your insurance policy. When you phone you will need to provide details of your policy. They can then find out what cover you have and whether or not it covers your situation, as well as details of the excess fee you’ll need to pay. Your home is a valuable asset, as it contains most of what you own. If anything was to happen, you might be at a financial loss which severely impacts your life. To avoid this, it is important to cover your building and the contents under an insurance policy. Go Skippy offers affordable home insurance for the building, the contents, or both, with optional extra products like legal or emergency cover. You can increase your policy to include accidental damage cover. 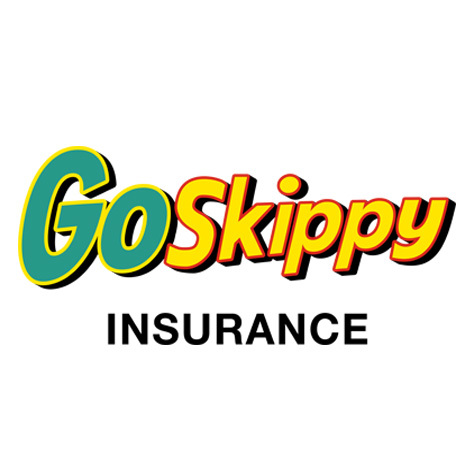 Call 0843 178 5029 if you are claiming home insurance under your Go Skippy policy. You should call if you need to make amendments or have problems with payments. Go Skippy welcomes feedback from their customers so they can correct any problems. Call them on 0843 178 5030 to log a formal complaint about Go Skippy services. You will need your client reference number, name, address, and contact number to give them before you explain the issue. If you need to speak directly to the Customer Journey Complaints Team, they are only available from 9am to 5.30pm on weekdays. You should explain what went wrong and what you expect Go Skippy to do next. They will investigate and then respond to the complaint as quickly as they can. You can choose to escalate to the Financial Ombudsman. The fastest way to resolve a concern is to call Go Skippy and speak to an advisor. If the wait times are too long to get through on the phone, try online. This is likely to take longer as you wait for a response, but at least you won’t be on hold. You can send a message on their Facebook page, which they only monitor from Monday to Friday during office hours. Otherwise, you can send tweets to them on Twitter, where they will reply during office hours seven days a week. You can send an e-mail directly to talk2us@goskippy.com, or e-mail info@eldoninsurance.co.uk if it is about claims. If you are renewing or ending your policy, send an e-mail to renewals@goskippy.com or cancellations@goskippy.com. You could also send a letter by post.